King West Home keeps providing excellent standard of services. 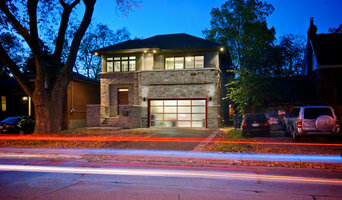 Our variety of talent and experience has delivered great custom homes in GTA area in the past years. At Artisan Builders, we approach each property with the same amount of care and planning. Every project warrants careful coordination of resources, strong management and experienced staffing. Kayland Construction Concepts is a family owned and operated company serving the Greater Toronto area. Our name is our reputation and we have been trusted by homeowners for over a decade. 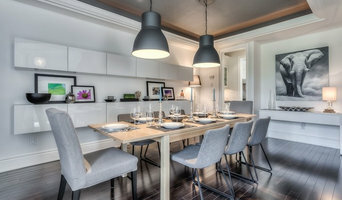 Greater Toronto Area Custom Home Designers Best of Houzz 2013-2016! Our goal is to work closely with our clients, developing their ideas to achieve the ultimate product...their dream home. We believe this process should be as fun, exciting and stress-free as possible! With over 30 years of experience, Leo Cianciolo, President of Easton Homes knows that bringing your dream home to life is the culmination of creative ideas, great design and precise execution. Matthew Vincent Building Group is an innovative, forward-thinking construction management firm that specializes in luxury / modern custom homes and premium home improvements. MEMAR Architects Inc., is a south Ontario based architectural firm, with over 12 years of experience in design, construction & project management of residential, commercial & institutional projects. Hyphen Studio is an OAA registered Architectural Practice known by its unique way of design and problem solving. As its motto says :"When nothing goes right... Go left!" Hyphen Studio always thinks out of box and comes up with a creative and extraordinary solution which is not only acceptable but also brings the "Wow" to the project. Hyphen Studio leaning on its passion and outstanding experience is focused on residential design and specializes in single family dwellings & costume made homes, multi-family residential developments and low-rise & mid-rise residential buildings. Hyphen as a Toronto based architectural design studio offers world class services in this field using the most updated software and design methods and it's young passionate team. BluPrint is a company that specializes in the design and construction of residential homes. As a firm it is the strong belief that a home should be a comfortable blend between leisure and ambition. In accompaniment with that belief, every living space is shaped to mimic the lifestyle of the client whilst creating spaces where they can relax and feel inspired. With this in mind, BluPrint provides a service that delivers high quality custom homes to a broad spectrum of clientele. Aspekt7 is a world-class company inspiring and constructing to a first class standard. The Company holds over 30 years of unparalleled understanding of the scale and proportion found in luxury living. At Georgian Custom Renovations, we strive to achieve the highest level of standards with uncompromising commitment to excellence in every aspect of our business. Our team of dedicated personnel are passionate about creating homes that are personalized to our clients’ needs. With attention to detail and quality designs, we perfect each home we create.